A new feature of the Village & Pillage Update will be added to the next Minecraft PE, which will most likely get version 1.8. 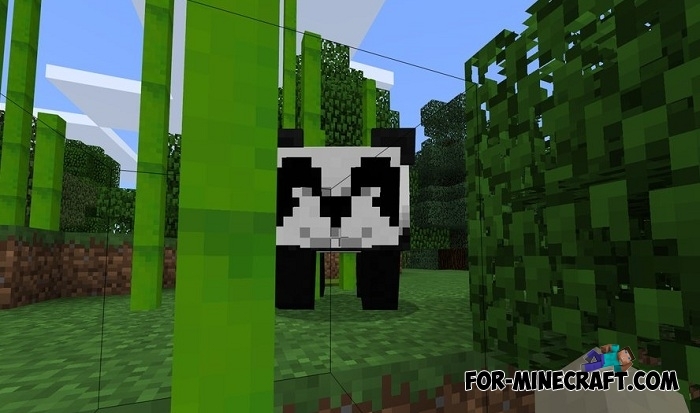 The likelihood that pandas will appear is 100% since this cute animal was shown on Minecon not so long ago. 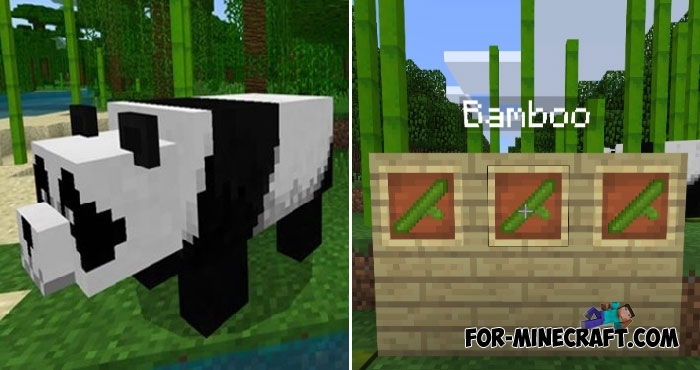 Not everyone wants to wait for the first beta version of MCPE 1.8, but everyone confidently wants to see and touch the pandas in the game. You have a great opportunity to simply install the addon which is this very feature. It adds panda bears whose habitat is in the deep jungle. They are able to climb trees and eat bamboo, which is another feature of the upcoming update. 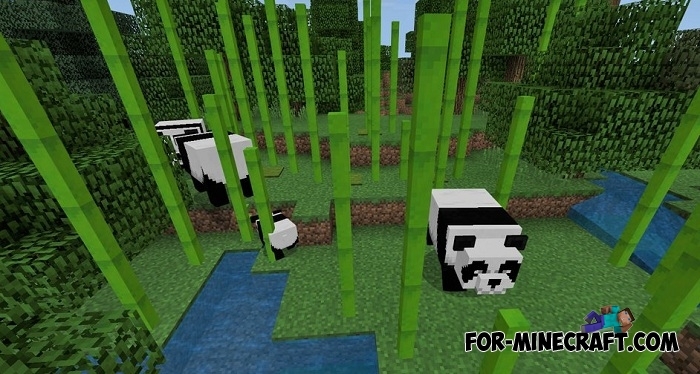 Since the possibilities of addons are still quite scanty, the pandas are spawned everywhere, not only in the jungle biome. Look for them and feed sugar cane so the pandas love you. There is a chance that pandas can be used as a mount, it would be even cooler. How to install the Panda addon?